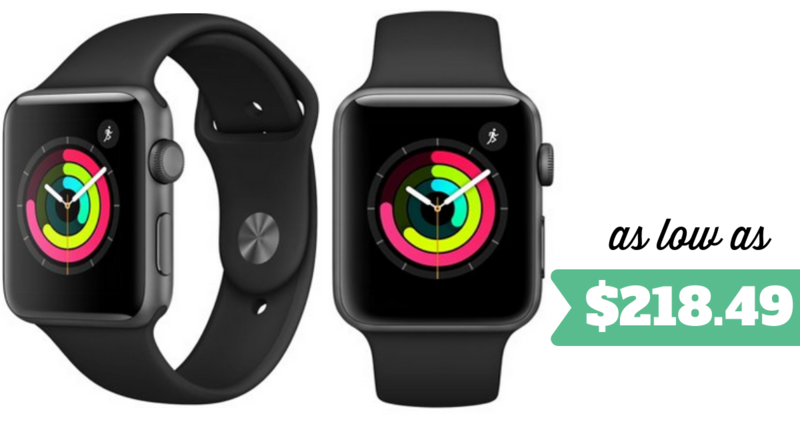 Thinking about buying an Apple watch? Target has the Apple Watch Series 3 with GPS in Space Gray for $229.99 (reg. $279.99)! Plus, if you have a Target REDcard, you’ll get an extra 5% off and Free Shipping. With your card, that makes it $218.49 shipped! For a price comparison, it’s $274 on Amazon and $279 at Best Buy.